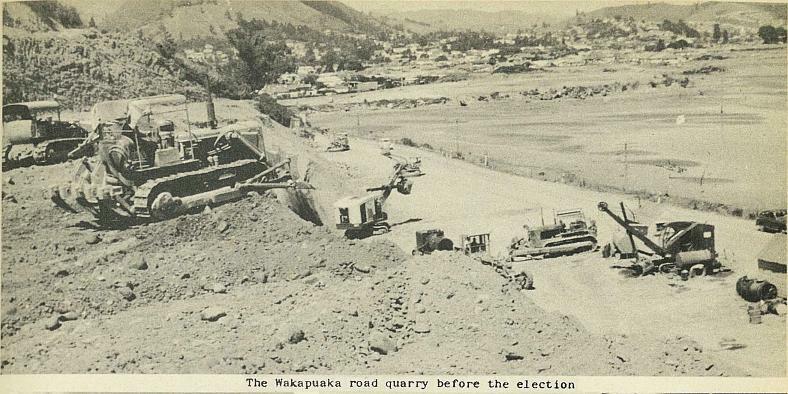 In less than a year, the high hopes held by Nelson residents for a rail link with Blenheim were dashed by the return of a National Government which promised a cessation of the work. This was one promise that has been kept. 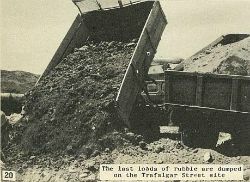 Within a few days of the return of the new Government work on the project eased off and the station sites were tidied up and levelled. 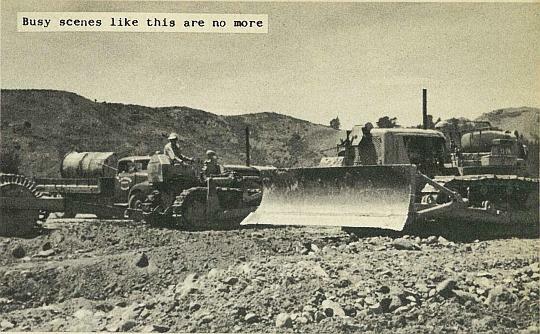 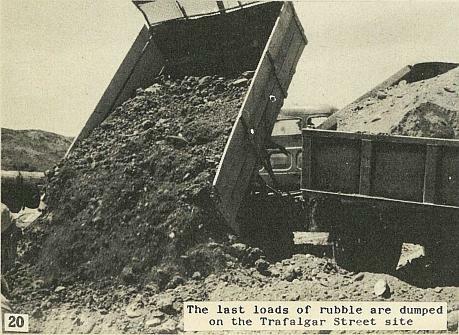 Then came the official announcement to cease work and the machinery which had seldom left the sites rolled, in a rather solemn convoy, out of the yards. The question in many Nelsonian minds now is: "Will it ever be completed?" 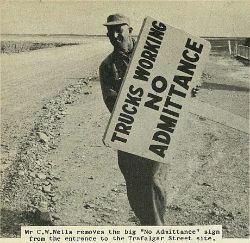 Mr C. W. Wells removes the big "No Admittance" sign from the entrance to the Trafalgar Street site. 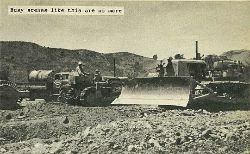 Machinery on the move out. 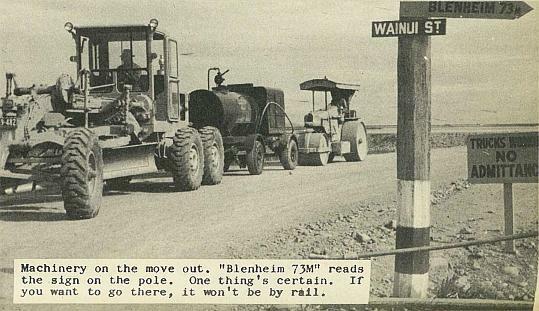 "Blenheim 73M" reads the sign on the pole. 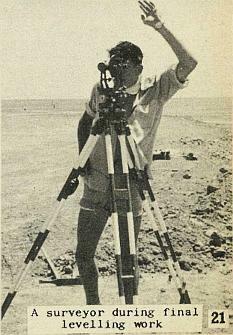 One thing's certain. 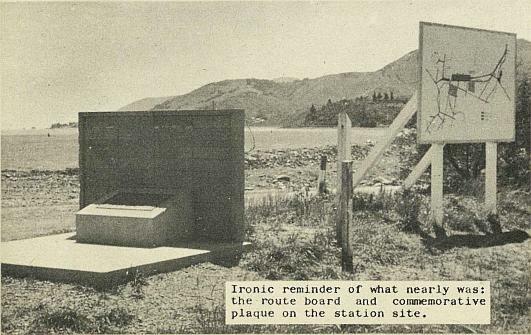 If you want to go there, it won't be by rail. 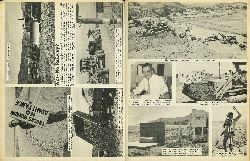 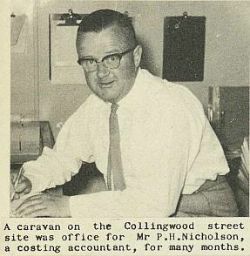 A caravan on the Collingwood street site was office for Mr P. H. Nicholson, a costing accountant, for many months. 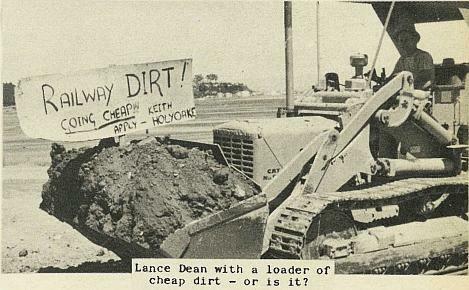 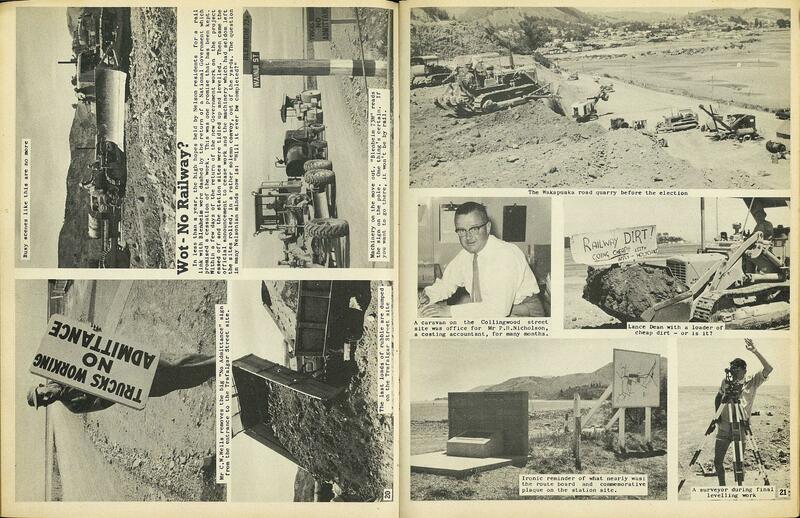 Lance Dean with a loader of cheap dirt - or is it? 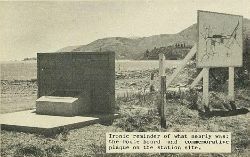 Ironic reminder of what nearly was: the route board and commemorative plaque on the station site.